Oh, I am so excited to be sharing this look with you today! because my second look for the challenge, (coming soon!) looks, well a bit…..unique. 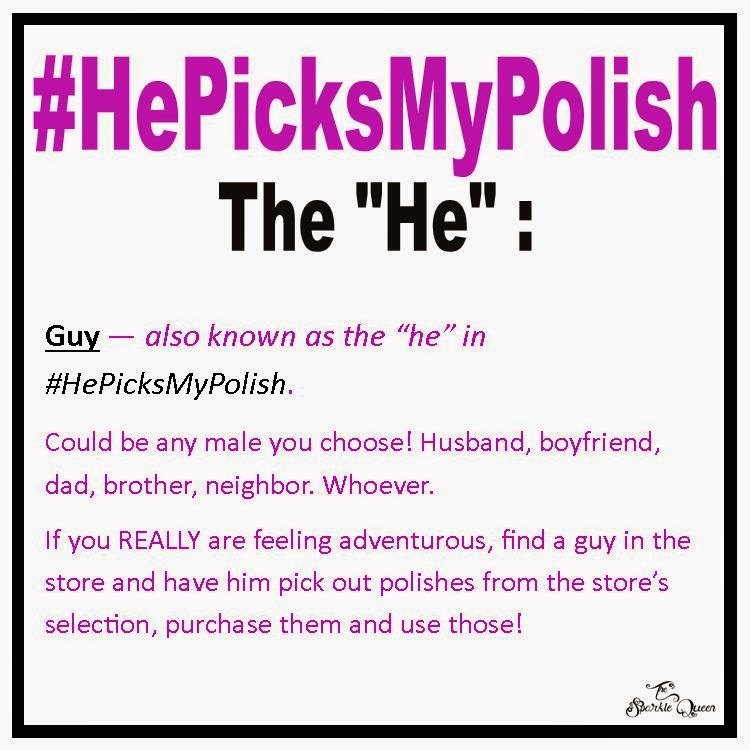 Let’s say unique. But more on that later this week. probably why he’s picked it twice now). awesome in our Facebook group here. Hehe, thanks Anne, glad you like it! I love it! It seems to be butterflies wing! 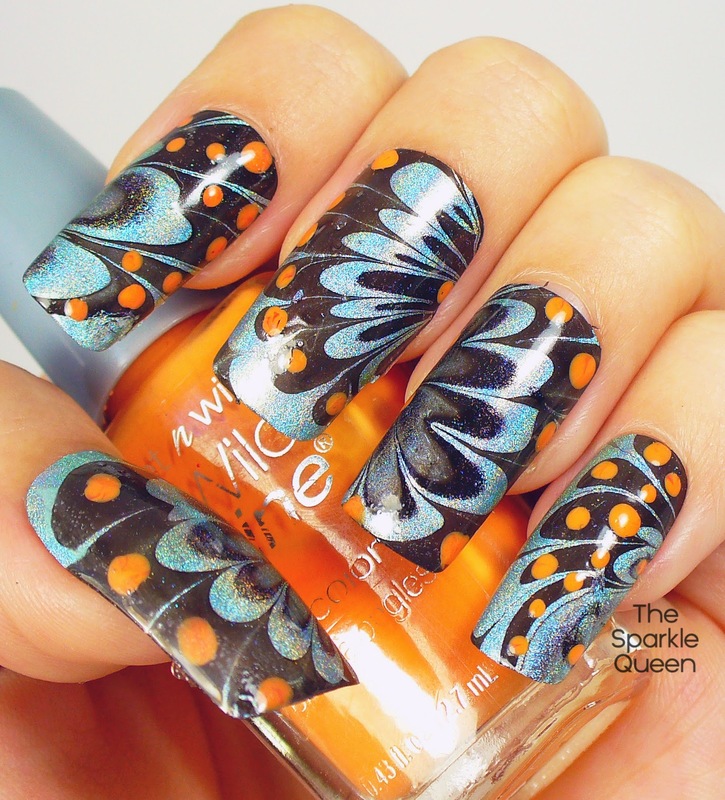 What a great watermarble! I love the sound of butterfly wings… I could just image what a pretty butterfly that would be floating around my garden. Great imagination Virginie 🙂 Thanks for stopping by! 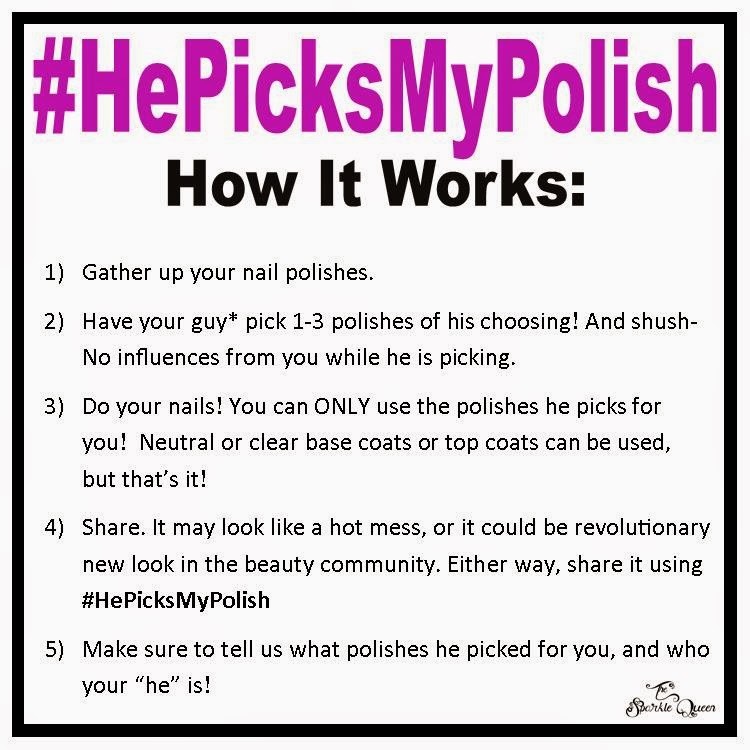 Aww, gotta give him a try! Maybe he will surprise you for the May round! wonderful design! Wow, you are so good! 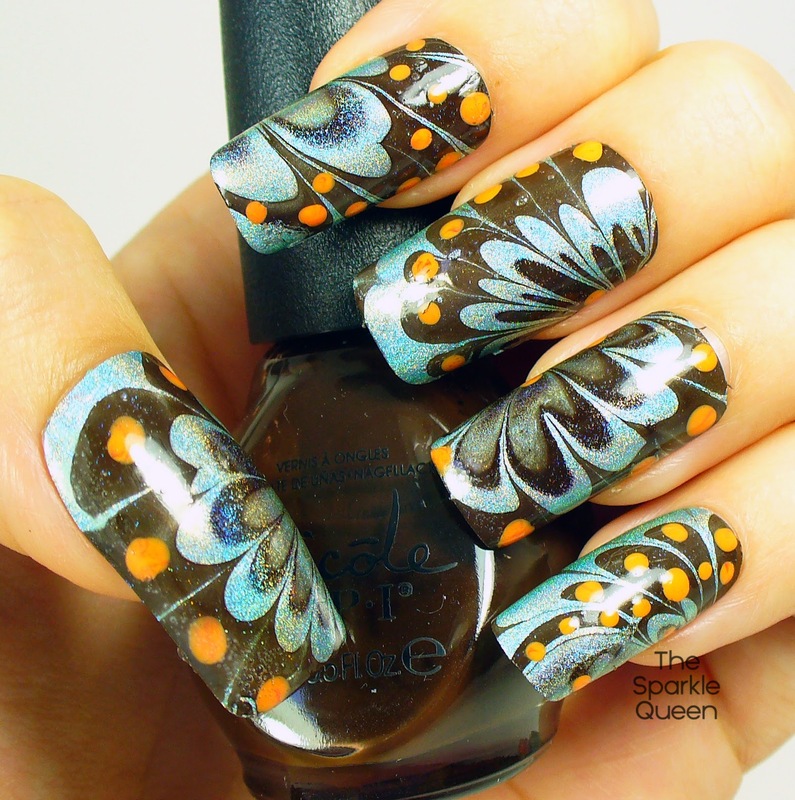 The colors have a very 70s feel to them which is totally groovy and your water marbling is dead gorg! They do kinda have that 70s vibe going on! I'm so glad they marbled together! I have no idea what I would have tried if they wouldn't play nice together in the water. 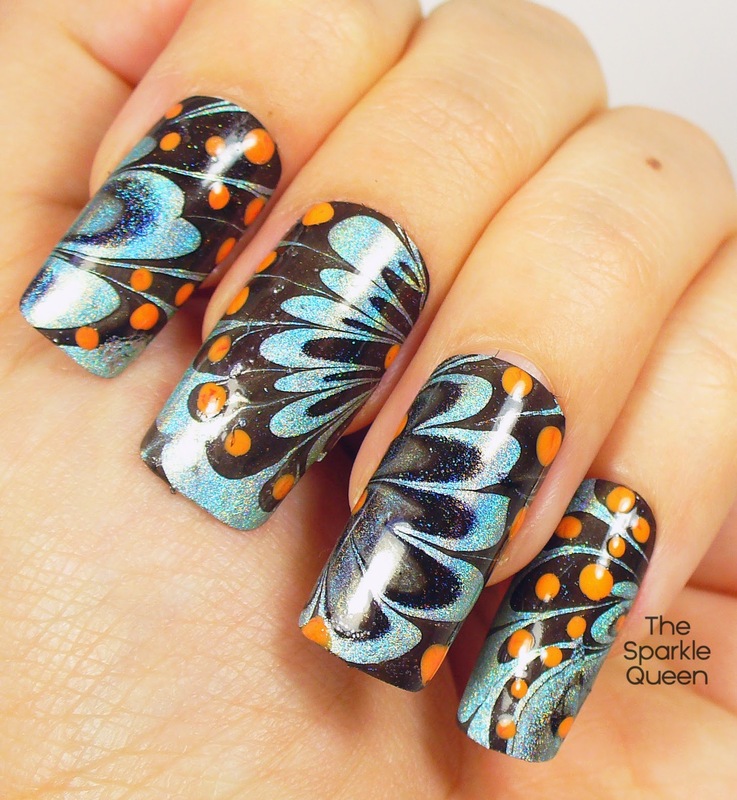 This is a STUNNING marble! 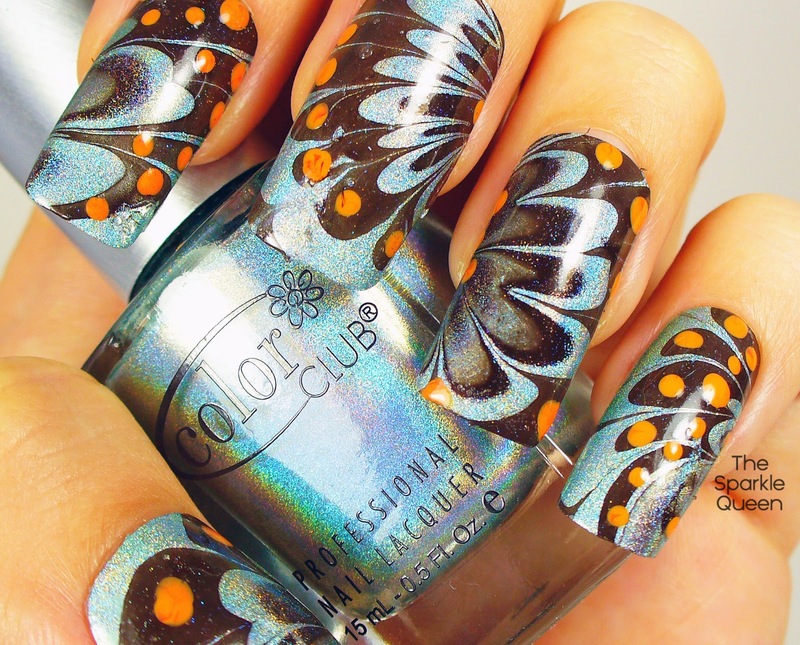 this nail art looks so lovely! 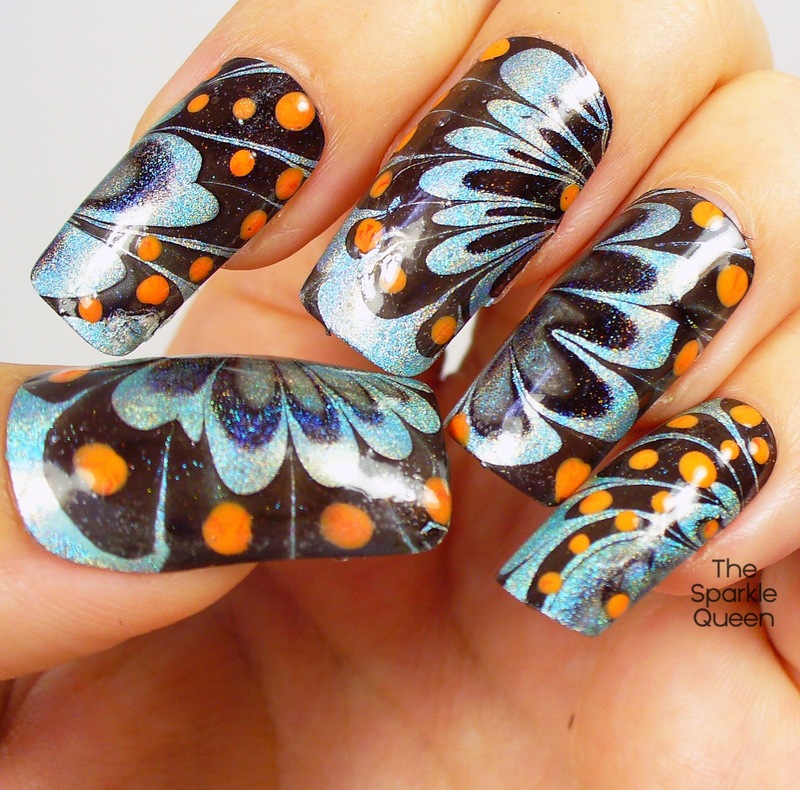 I didn't knew you could make nail arts so stunning like this using watermarble!